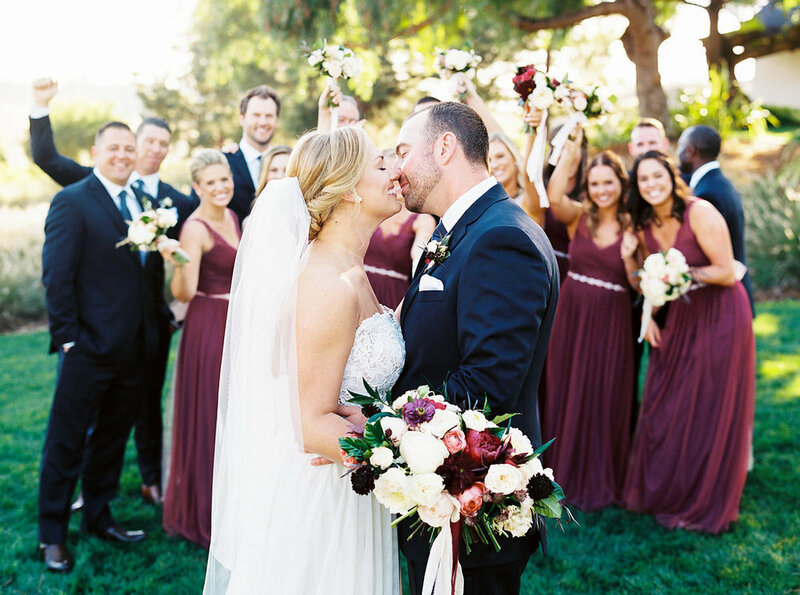 This past fall, we had the pleasure of putting together a gorgeous wedding for a beautiful bride and groom, pictured below, at the always-stunning Greengate Ranch! 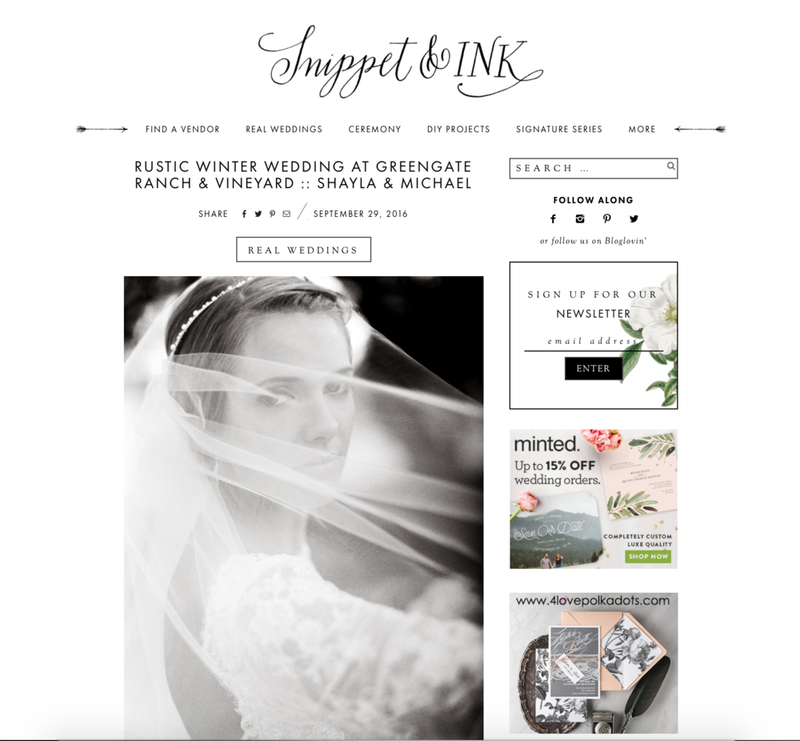 Our couple chose the design + month-of coordination package. With this package, we worked with them from the start to design their wedding, and then came in a month before to tie up all the loose ends of planning. The day-of went off without a hitch! 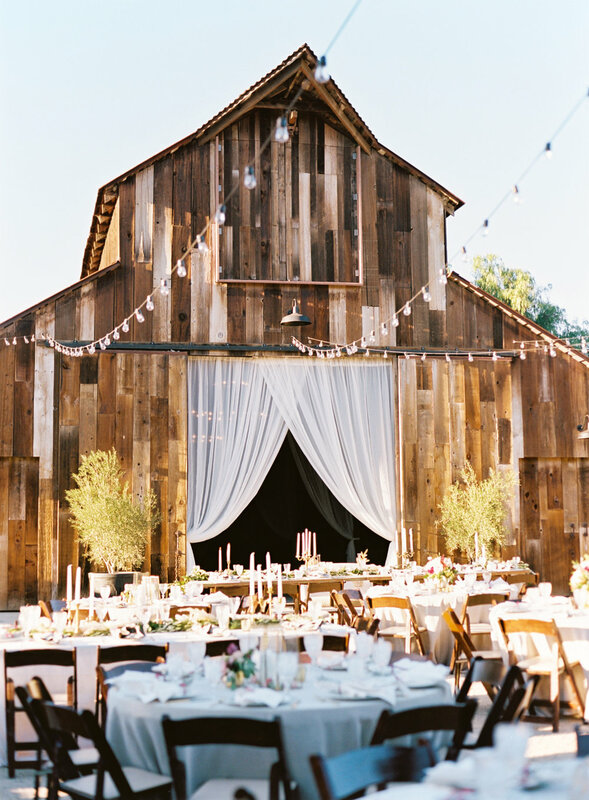 Our stunning couple in front of the greengate ranch vintage barn. 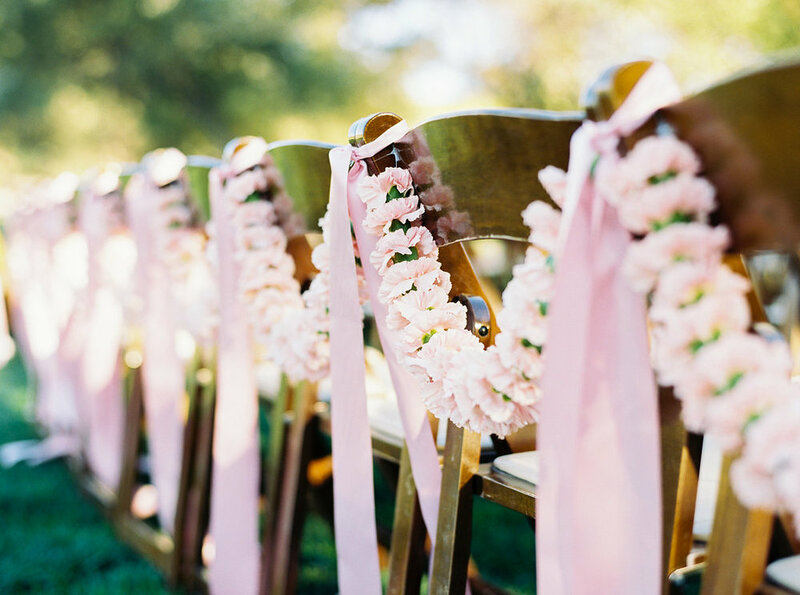 We designed this garland and drape treatment for the front doors to create a soft and romantic look. 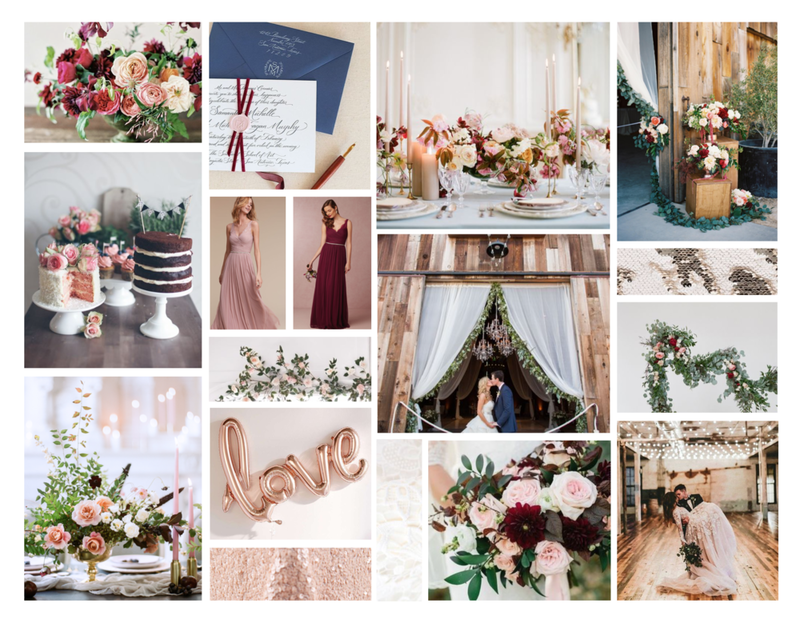 the beginning of our design process always starts with creating design boards (below) that give an idea of the overall look of the wedding. jessica & Tyler's full wedding album from photographer Cameron ingalls can be seen in our portfolio, here. We love to see how the final result turned out compared to our initial design boards! 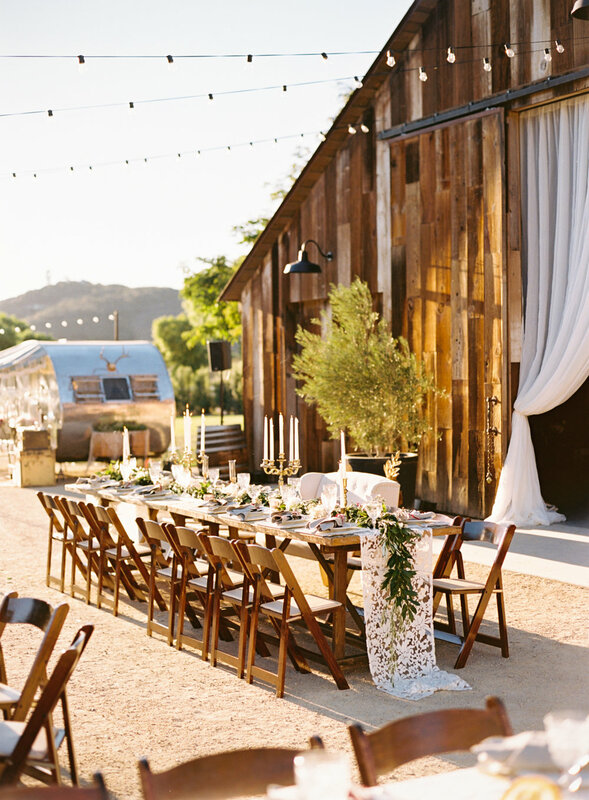 We are so fortunate to live amongst so many talented wedding vendors here in the central coast of california. 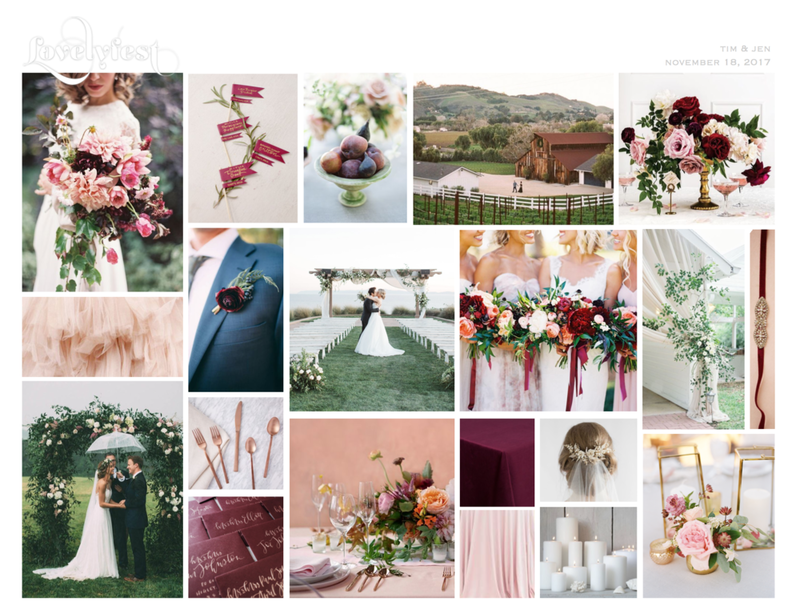 There are photographers, planners, designers, florists, and wedding vendors galore, and we love collaborating with as many as we can! 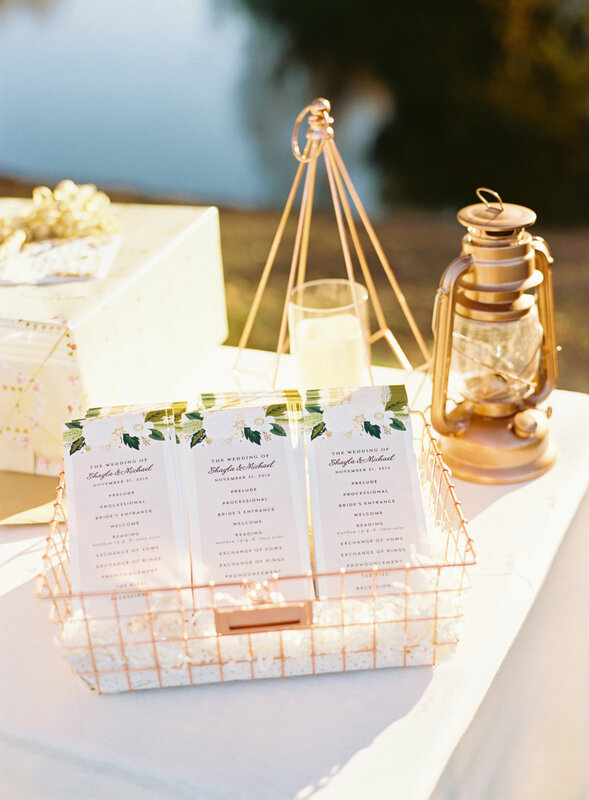 Our vendor friend, Kelsey, of A Lovely Creative, asked to use our tabletop goods for two photoshoots earlier this year, each at gorgeous venues with incredibly talented photographers- what could be better? 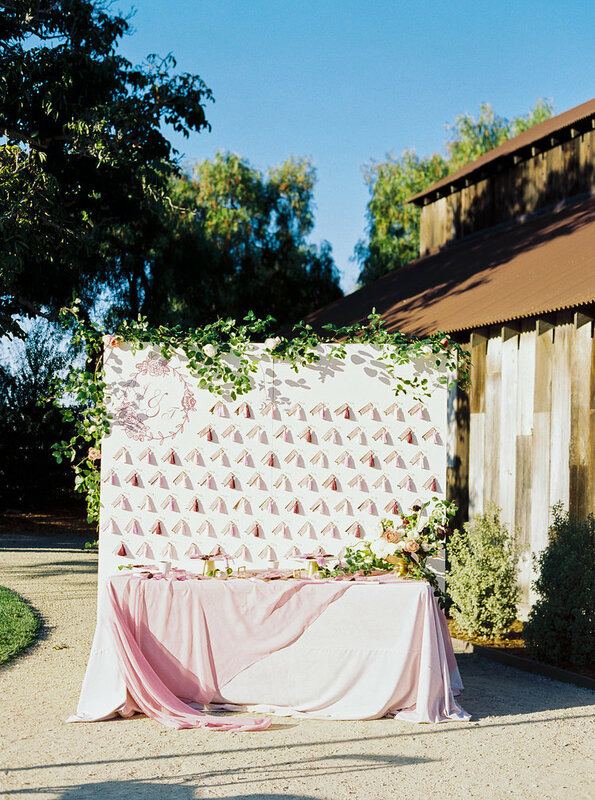 These first photos above are from a shoot at Greengate Ranch (a venue close to our hearts!) with photographer Jen Rodriguez. 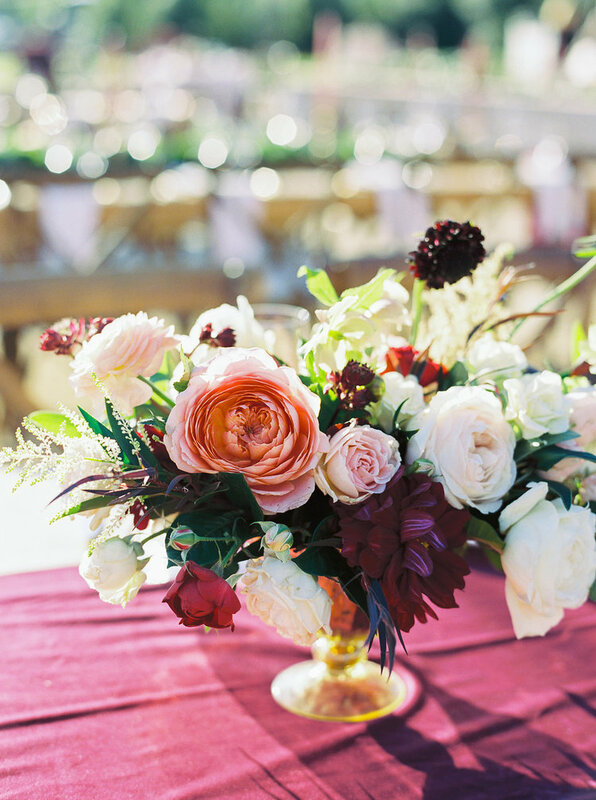 Our vintage glassware, wood chargers, crystal salt cellars, and teak & brass flatware look perfect on the dining table amidst Wilder floral co.'s gorgeous blooms. 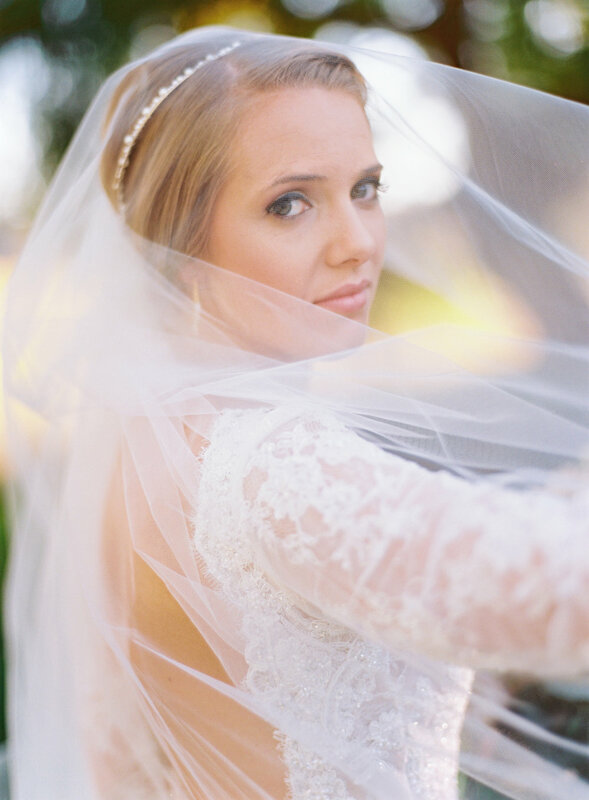 We are overjoyed with the photos we got back from this shoot, and can't wait to share more once the feature goes live! We really can't get enough of that horse, either. Such a beauty! 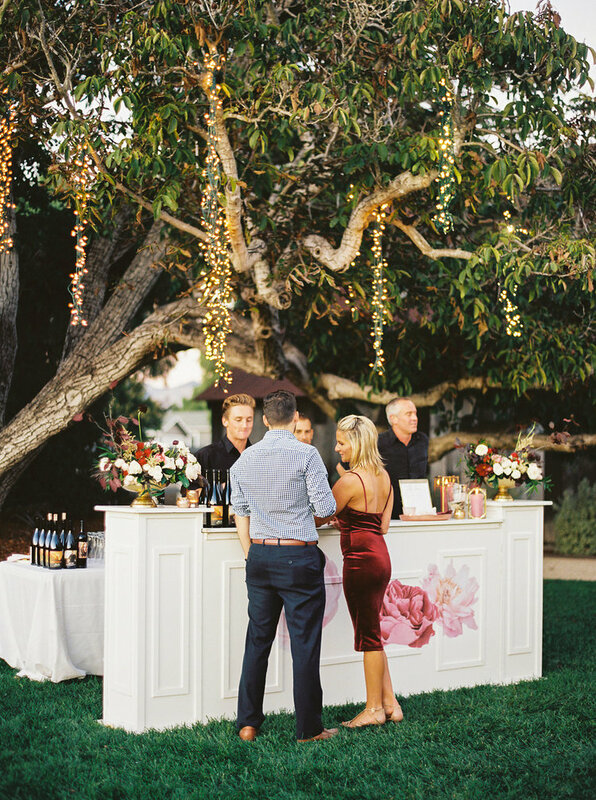 The next styled shoot, pictured above, was photographed by Cameron Ingalls out at the Justin Winery in Paso Robles, California. 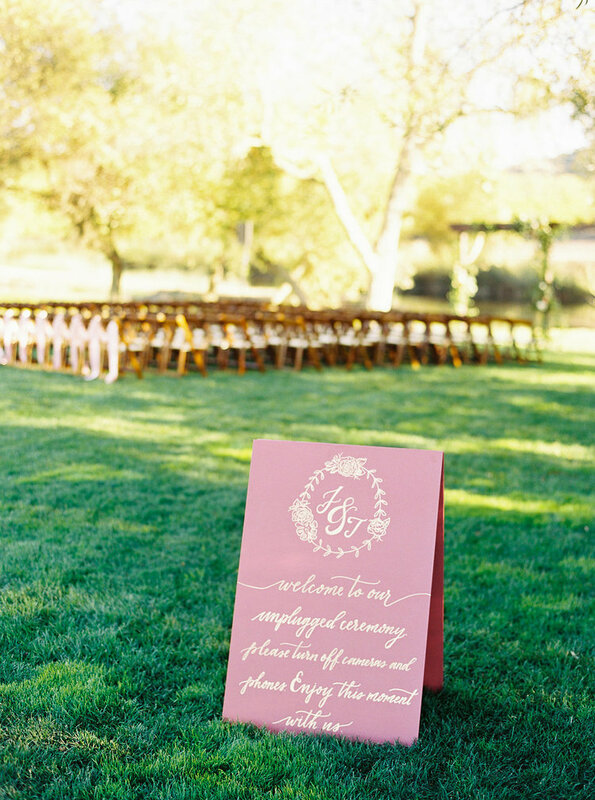 It looks like a french chateau and lends a romantic, european vibe to any event. 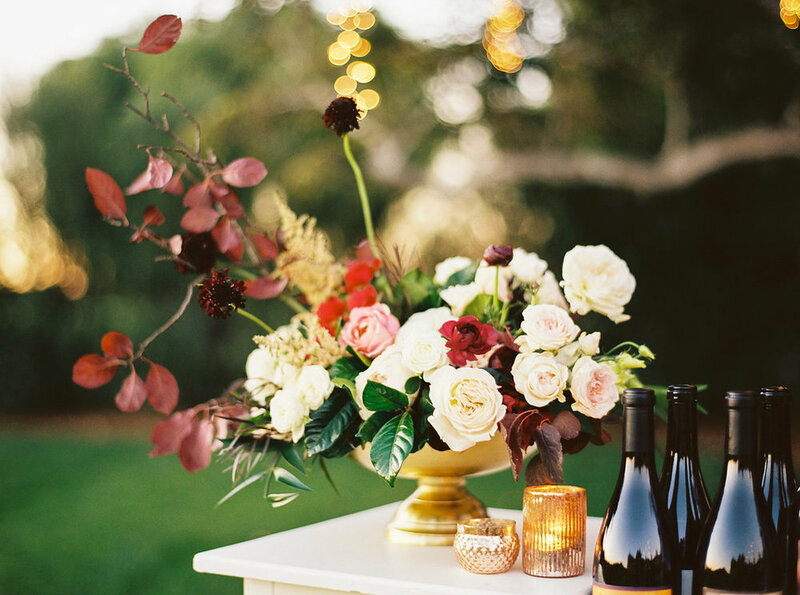 We are more than obsessed with this centerpiece by the talented and local florist, April Flowers, and are fortunate to have our tabletop goods among the beauty! 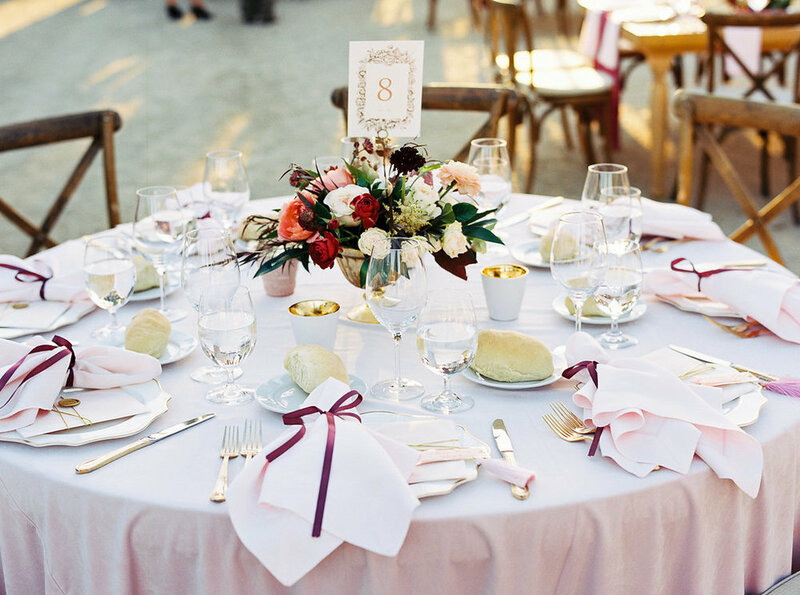 Pictured here is our ornate gold flatware, gold chargers, crystal champagne coupes, and gold-rimmed wine glasses. 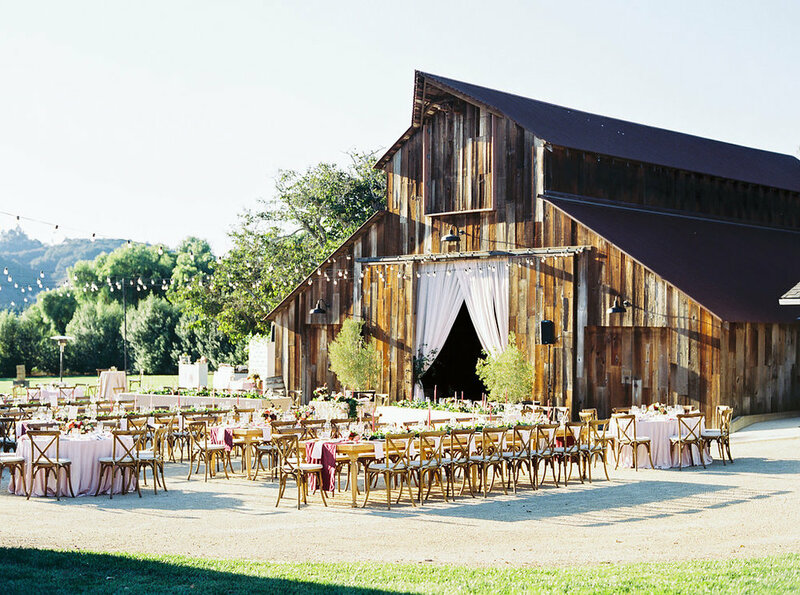 All available to rent for up to 200 guests! And that beautiful calligraphy is done by Rosey Calligraphy (on the mini cakes, too!). So thank you to all our vendor friends across the central coast. None of this beauty would be possible without everyone's constant collaboration and endless creativity.